क्या आप जापानी सीखना चाहते हैं ? 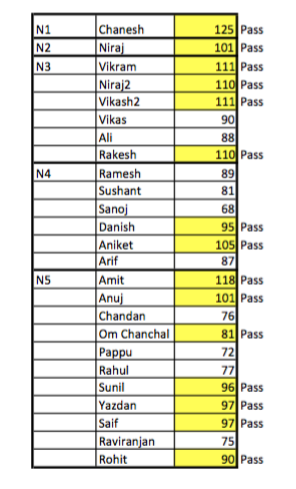 N1 (one person), N2 (one person), N3 (4 persons), N4 (2 persons), N5 (7 persons) were qualified. Bodhgaya Nihongo Class provides Japanese language study. Japanese native teacher and JLPT upper level qualified teachers teach in the class.